This week I went to a two day workshop in Nottingham on minerals and their effect on our farm animals. This is an area I’ve been very interested in for the last number of years. Like most things we must measure minerals before we even begin to try manage them in my opinion. I sometimes get frustrated by some of the supplementation I see on farm. This stems from the fact that each farm has different requirements and a ‘one fits all model’ just really doesn’t work in my opinion. Often we end up putting minerals in we don’t need and not enough of others. We must understand the mineral status of our farms, based on risk we then should focus on how and when to supplement our animals. Minerals of course can seem complicated with many interactions and roles. This is true but we must try and understand them. I often refer to mineral status like a jigsaw, the more pieces we have the more we know about needs. Without getting into to the great details of the role each mineral has. Ill focus on why and how we would go about understanding farm mineral status. In the next article ill deal with specific minerals. Mineral status is a careful balance between deficieny and toxicity. While we often focus on the effects of defciency in minerals we must also take into account over supply of certain minerals or toxicity. So how do we assess this risk, what tests and when? In Ireland I think we have a distinct advantage as most of our farms are based on simple forages often grass and grass silage mainly. However recently while looking at some diets while traveling I was perplexed by the amount of inclusions. Making measuring inclusions of minerals much more difficult. I recently looked at a diet with 12 different components going through TMR to produce 7,000 litres avg. I often wonder are we beginning to over complicate diets in cows. However that’s another day, another article. So where are key areas to understand mineral interactions. It begins in soil, while we must optimise soil health we must also understand the interactions and influence these alterations have on mineral uptake in herbage. Soil testing to build up a good profile on farm is really useful. At key times of the year we must also build up a herbage profile. This can be done by taking small samples over time and freezing them. We can then submit the completed sample to build up a more complete profile. Where possible we must understand what the mineral status of our conserved forages is. In Ireland our predominate feed in the winter around calving and lambing is silage. We must know what this primary forage contains when it comes to minerals. Where feeding other components such as concentrates etc., we must look at feed analysis to work out inclusions. Lastly we must try and understand where cows and sheep are, at key times. Meaning what is the mineral status in the animal. 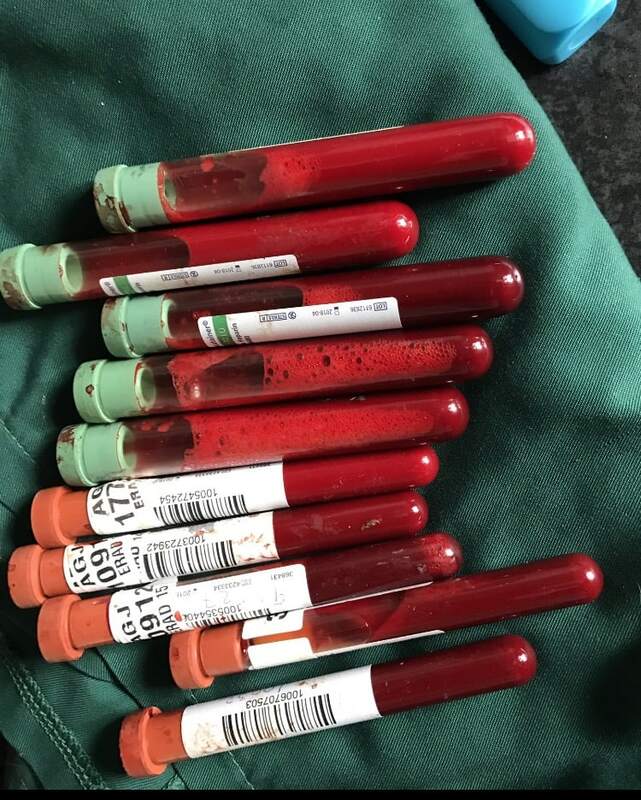 This is often done by blood or liver biopsies (particularly when getting copper status). I’m aware most if still reading this, have their hands on their heads going what!!! And how much will this cost? Your probably saying I’ll stick to just supplementing blind thank you very much. Ok this is the gold standard, I’m aware everyone is not going to rush out and start doing all these things. It also involves working with many advisors with strengths and expertise in certain areas and then bringing this information together culminating in decisions that ultimately impact on animal performance. Remember this initial investment of time and money is well worth it, because it will give farms a solid foundation to manage minerals going forward. Certainky at a minimum we should start considering some basic mineral forage and blood analysis. This testing needs to be done at strategic times that will help key decisions. So certainly in Ireland we must start adding trace element analysis of our main forage grass silage. Remember this is a test that can be done on freshly cut silage, doing a sample at cutting wont vary when it comes to trace element analysis. My strong opinion is that iodine should be tested in forage as well, this is only done by a number of labs. Over the last four years I’ve seen how this test (forage mineral analysis) combined with bloods have really allowed us more strategically supplement our herds and flocks. This is part 1 of talking and understanding minerals. If we measure our minerals in feed and also at animal level we can make much more strategic decisions around supplementation.